New research(Natural News) revealed that increasing the use of medical marijuana brings down the number of violent crime in states bordering Mexico, reported The Guardian. A study published in The Economic Journal investigated the effects exerted by medical marijuana laws on crime in the U.S. states that border Mexico. The researchers discovered that violent crimes dropped by an average of 13 percent after a state legalized the use of marijuana for medicinal purposes. According to economist Evelina Gavrilova, medical marijuana laws encourage local farmers to grow legal cannabis. It so happens that the majority of marijuana in the US comes from Mexico, where big drug cartels squabble for control of the illegal drug trade. In addition to cutting into the profits of drug cartels, legal sources of marijuana reduced the need to acquire it through violence. Gavrilova explained that the drug cartels are locked in a power struggle. In addition to muscling for control of lucrative territory, the cartels often try to steal products from their rivals and kill any witnesses to their activities. “Whenever there is a medical marijuana law we observe that crime at the border decreases because suddenly there is a lot less smuggling and a lot less violence associated with that,” she said. Marijuana is not the only drug smuggled by Mexican cartels across the border. They also deal in cocaine, heroin, and metamphetamine. But the market for cannabis is the biggest in the U.S. It is also the most profitable one for drug cartels. A pound of marijuana can be produced in Mexico for $75. That same pound is worth thousands of dollars to buyers in the United States, reported The Guardian. Gavrilova’s research team approached the FBI for their data on uniform crime reports and supplementary homicide records for states bordering Mexico. The time period of their study spanned from 1994 to 2012. According to the results of their research, California enjoyed the biggest drop in crime. Violent crime in the state decreased 15 percent as a result of legalizing marijuana. The effect proved weakest in Arizona, which recorded a seven percent drop in the level of violent crime. Robbery and murder were the most affected crimes. The former fell by 19 percent, murder dropped by 10 percent, and drug-related homicides plunged by 41 percent. “When the effect on crime is so significant, it’s obviously better to regulate marijuana and allow people to pay taxes on it rather than make it illegal,” Gavrilova said. She advocated legalization and regulation of medical marijuana, with tax proceeds going to the national treasury. Nearly 30 U.S. states have already permitted medical marijuana. Those states have one cannabis dispensary for every six regular pharmacies. If the findings of the study hold out, full legalization of marijuana in Colorado and Washington will hit the drug trade especially hard. Those two states do not share borders with Mexico. 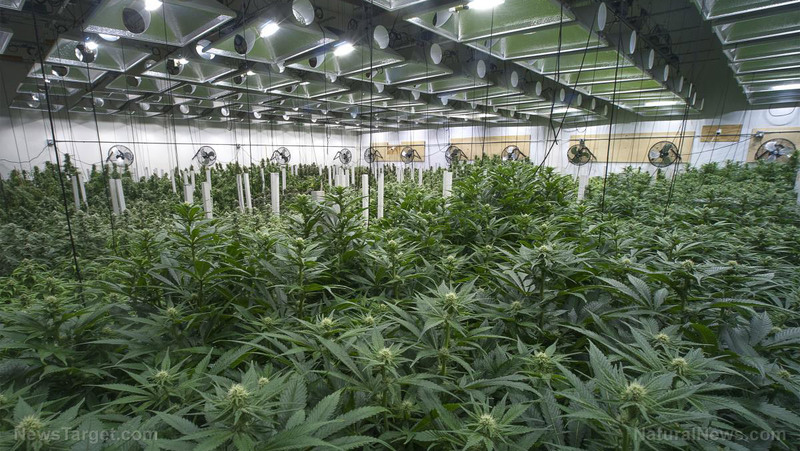 Setting up large-scale facilities in Colorado and Washington that produce legal marijuana will further reduce the market for smuggled drugs and cost drug lords even more money. The Guardian reported anecdotal evidence that drug cartels are already setting up their own legal marijuana farms in California to make up for their losses in the illicit drug trade. Other drug lords are reportedly adopting heroin as their new main product, with poppy farms being grown in Mexico to reduce reliance upon supplies from Afghanistan. Find out more direct ways medical marijuana can benefit people at CannabisCures.news.